Tottenham and Manchester United are linked with highly rated Bournemouth youngster, David Brooks, as per reports going on in the media. According to an exclusive story covered by The Sun, the Red Devils are drooling over the Welsh international and are planning a move for him in the summer or sooner. The British source have reported that Manchester United and Spurs would ‘happily pay’ around £40million to secure the signing of the youngster but the signs are that he will sign a new deal with the Cherries. Brooks is a talented attacking midfielder, who can be deployed in multiple offensive positions. Last season, he mostly played as a secondary striker, scored 3 goals and provided 5 assists in the Championship. Under the management of Bournemouth boss, Eddie Howe, the 21-year-old starlet has mainly played on the right wing. In the current campaign, the former Sheffield United attacker has so far started 19 times in the Premier League, scored 5 goals and provided 2 assists. He has already featured 9 times for the senior national side. 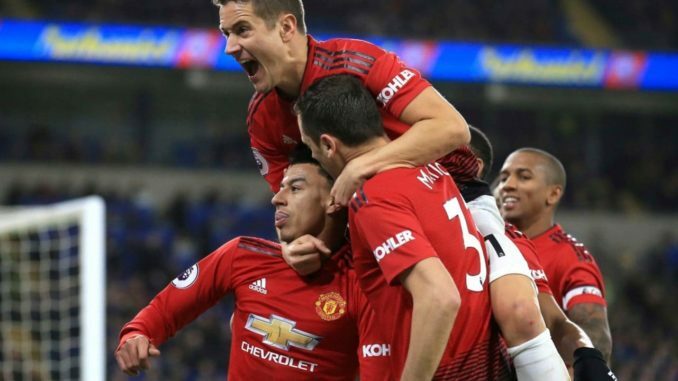 Right now, United are in red hot form under Norwegian boss Ole Gunnar Solskjaer. In 6 games so far, the Red Devils have netted 17 times and conceded only 3 goals. They have kept 3 clean sheets in the last 3 games in all competitions. So, everything is going very well for the interim boss at Old Trafford, still, he needs to reinforce the squad in the winter transfer window, especially the back-line, which has been the team’s weakest link this season. In the attacking third, Man Utd have got enough depth and quality, so, Brooks is not really needed at the moment and even if he signs, he would not really get straight into the starting XI. Still, I think the starlet should be lured this month because he has the potential to be a real star and waiting for the summer could help other suitors hire his services.